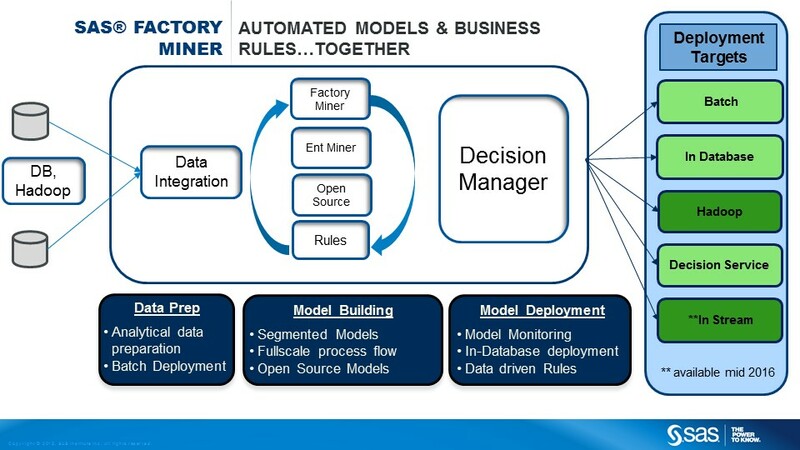 SAS Factory Miner Industrializes Predictive Analytics | Constellation Research Inc. Overcome the talent shortage: As per the laws of supply and demand, analytics expertise is scarce and costly, yet the two imperatives detailed above exacerbate the problem by tasking analysts to build more models and use more data. That means you’ll need more time and talent to build, text, deploy and maintain predictive models.